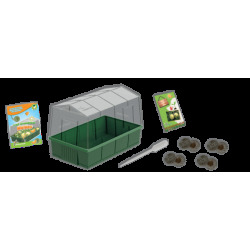 Do you want to know how it is to have your own greenhouse? 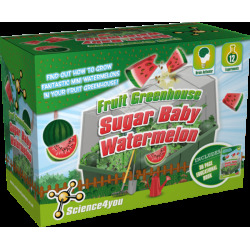 It's possible with the Science4you Fruit Greenhouse - Sugar BabyWatermelon. 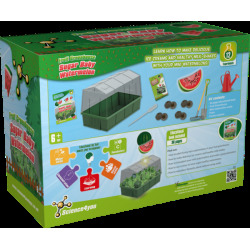 Find out how to grow your own watermelons at home! You also will learn how to make healthy milkshakes and delicious ice creams with your watermelons! How to plant funny mini watermelons in your fruit greenhouse. How to make delicious ice creams and healthy milkshakes with your watermelons. How to transplant your mini watermelons and make a great plantation. How to use science to have super healthy watermelons. How to reproduce fantastic plants without using seeds. 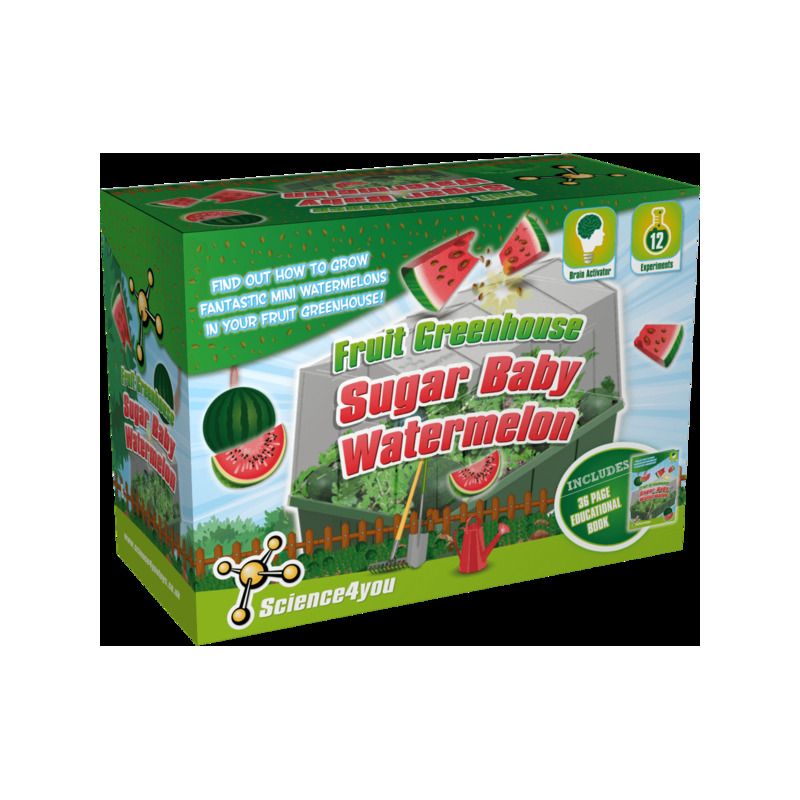 This toy includes up to 12 experiments as well as an educational book with 36 pages.